According to the Local Government Association this is fuelling unhealthy eating habits and Britain’s obesity crisis. They propose that Brexit is the perfect time for the UK to standardise food labels, thus making nutritional information mandatory on all of the foods and drinks we consume. As it stands, the EU is in charge of regulating product labelling, but the UK government may choose to implement its own guidelines when the UK leaves the European Union. 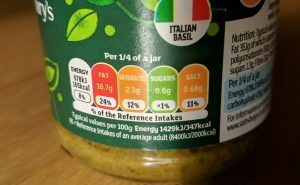 In 2013 the Department of Health announced the traffic light labels designed to allow consumers to quickly see how much fat, saturates, sugars and salt are in a particular product, but this is only a voluntary system meaning manufacturers can ignore it. This has been blamed for the obesity crisis gripping Britain because some manufacturers use the traffic light system and others use more complex schemes giving nutritional information in percentage guideline daily amounts (%GDA). This can cause confusion for consumers who may be unwittingly buying products that are high in fat, salt and sugar. The Faculty of Public Health has previously stated that the %GDAs labelling schemes can cause confusion and impede consumers from making healthy choices as it suggests that these daily amounts are targets to reach, whereas they are actually limits not to be exceeded. According to latest figures, almost two thirds of British adults and a third of children are overweight or obese and that figure could rise substantially unless precautions and information is provided. The traffic light system adopted by a range of manufacturers is a great way for consumers to quickly see the amount of fat, saturates, sugars and salt is in a product and make an educated choice as to what to buy. Clear nutrition labelling on the front of food packaging is an important way to educate the population and to help consumers make healthier food choices. The fact that some manufacturers choose a different nutrition system can make it confusing for consumers. It is best practise to design all of your printed media such as labels, flyers and stickers in CMYK as opposed to RGB; this will produce more vibrant colours and darker blacks giving a more professional look. Typeface and colour choice are also important considerations when designing labels because some combinations can make it harder to read from a distance, especially metallic or reflective labels which may be eye-catching but could be difficult to read when combined with certain colours and textures. There is also the perceived psychological interpretation of colours when designing labels and stickers for products and packaging. Silver and gold labels can project luxury, sophistication and a hi-tech feel, whereas rustic-looking labels are ideal for conveying earthiness, reliability and sustainability. This may seem obvious to many people, but making sure that the label fits the product container is easily missed by designers, especially if they have a great idea and jump straight into the design phase without studying the packaging. Proper measuring is as important as the actual design when making a label that compliments the product. What shape is the container? Round, square, tapered or textured, these considerations must be taken into account in the design phase to ensure that the label fits smoothly and gives all of the information needed to the consumer. It is also important to decide how much of the product you want to show, an example of this is if you are using an opaque container then a larger label can be used, whereas if the product is in a transparent container such as jam or honey then a smaller label may complement it better. Creating label designs that are distinctive and memorable will make your products stand out from the crowd and is a great way of attracting customers to buy and promote your products. Whether the products will be sold in stores alongside competitors’ products, sold through a stand-alone website or through an online buyer and seller community, presentation is key. Is the labels design distinctive compared with its competitors? Does the label clearly and accurately reflect the product and the brand? Will the products target audience find it captivating enough to purchase? Creating your label design and getting it to market is only the beginning of the marketing efforts and being proactive with the design will ensure that your products stay relevant to your customers and will continue to attract your target audience. Invite your customers to take part in a survey asking what about the packaging attracted them to the product in the first place. This information is a great way to spot changes in the market, mood and lifestyle of your customers meaning that future label designs can stay relevant even with changing demographics. The information gathered can also be used to learn from any mistakes from the initial design such as hard to read fonts, colour clashes and whether you are using the right type of label. By putting into practise some of these suggestions when designing your labels it will undoubtedly make your designs stand out from the crowd and will produce a process to make future label designs not only more relevant but also more efficient. Whilst there may be many advantages to technology in education, there can also be certain drawbacks too, which has created cause for concern for some parents. 28% of parents worry that technology in schools can lead to a reduced attention span, whilst an alternative study found that 88% of parents believe that the technology available to students has pushed them forward to learn and take full advantage of their education. Whilst technology benefits many areas of learning, parents are considering the pros and cons of it’s continuous rise. They believe their kids are lucky to be involved in this generation with the advances of the latest technology, however voice their concerns that it may take over their surroundings and cause distractions towards learning. Tablets and iPads have changed teaching and learning, creating a much more interactive environment that both student and teacher can benefit from and get engaged with. For students to physically hold, touch and swipe through their work is a great interactive aspect in lessons. The simple user interface can be easily picked up by all ages, and touch screen tablets incorporate a different style of teaching that can prove to be a turning point in various levels of education. Generally, the consensus is that both teaching and learning can be made fun with technology; it becomes much more interactive and engaging. Teachers are able to direct individual learning needs with the aid of technology, however, there are many drawbacks of incorporating the latest tech, too. Using technology too frequently, or constantly staring at screens too closely can lead to strained vision. There can be a lack of attention given by students, as well as the risk of technology being a distraction, affecting work and concentration levels. In severe cases, some students are lead into injuries and lack motor skills. Of course, there is always hardware or software problems, causing delays that are sure to be a drawback for students. Is the investment in modern technology worth it? That said, the benefits of technology are clear to see, certainly when it comes to developing everyday skills that are the bread and butter of modern society. Some forms of software programs cannot be implemented in traditional methods, so a whole host of possibilities become available for education and learning. Through the latest software, students of all ages can access a huge variety of fantastic tools and resources. The instant access to information is a huge benefit for students, even when at home, students can gain information through research and fast access. There’s also opportunities for individual learning. Technology can easily create long distance interaction, communication and learning. Having the ability to improve on skills such as communication, problem-solving techniques and reading and writing allows us to bring education into the modern world with minimal restraints. The overall outcome for students using technology should be, to use in moderation, if possible. If students are able to take extra care and not over-use the equipment, technology will be beneficial, not a hinderance. Studies have shown that people trust the recommendations of friends and family above anything else and that 90% of these recommendations happen offline. Having a promotional sticker which is easily identifiable, starts conversations and conveys the right message is a great way of promoting your brand for very little outlay in cost. As opposed to other mediums of advertising, stickers are not perceived as advertising at all, in fact displaying a sticker, whether it is on a gadget, car, notebook or laptop is widely observed as being a personal endorsement of a brand, product or message. 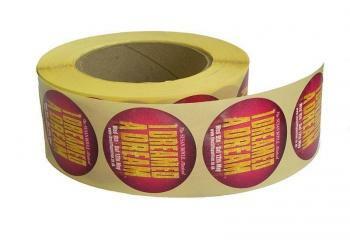 Even if a promotional sticker is not displayed in public view they can still be a very cost effective advertising tool. Handing out a quality made sticker to you customers has more value than other advertising mediums such as flyers, business cards and brochures as they are harder to throw away and have the potential to engage the recipient time and time again, especially if the content is relevant and well designed. Promotional stickers aren’t just an item that you give away, they can also be used on brand products and packaging, and even applied to serviced equipment. If promotional stickers are done right they can also become profitable products in their own right. Your brand name, logo or slogan can become a powerful advertising platform, especially if you have a unique angle to market to a specific sector or demographic, have fans and advocates and can come up with a design that people want to show off. So you see, stickers can be used in a number of ways to advertise, improve brand awareness, show off new products and services or convey a message. Sticker marketing is a lowest-cost, highest exposure marketing tool which is largely overlooked by both large and small businesses in favour of expensive online marketing. How does food hold up over time? What types of foods will hold up over time and which foods should you be looking for in a survival situation? If damage has been done to stored away foods, would the food still be edible even if you can’t read the sell by date? There are many different types of foods that have sell by dates, either those that are refrigerated or stored in a dry place, all with their own life expectancies. Surely the majority of food would slowly become expired over time? It’s clear that dairy products won’t hold out too long in the fight, so make sure you take advantage of the foods when you can. For example, milk, cheese, and butter will only last up to one day if there is no power. Your best survival foods are those tightly compact into food survival kits for emergencies. Emergency rations, and food biscuits lasting up to five years. Another factor to consider is how food is stored and how secure it is. The cause of destruction, whether it be environmental damage, explosions, earthquakes or flooding could jeopardise the facts and information on labels. There undoubtedly won’t be many manufacturing companies or active shops still making or supplying the goods, once a disaster strikes and takes over, so getting your supplies ready and being prepared is key to having enough essentials to last even a short while until you can plan your next move. How durable are informational signs and important to read labels? Retaining information is important for all survivors, not just for finding out what food is edible in the fight for survival but also for any potential warnings or directions they can give. How long in the fight can labels and signs last for? When considering the worst of extreme weather conditions or any major war breaking out, what are the effects that can occur to important labels and information? If damage arises, will it be readable? When surviving you most likely won’t have any luxuries like the Internet to seek out advice, guidance or any information from. So keeping labels intact is crucial. So if you’re concerned about how you will manage in an apocalyptic situation, why not measure up against the top movies and TV shows which face end of the world catastrophe’s and see what will last the time and what won’t. Pets are everything to us, they successfully complete our homes, bring so much life towards our own and are a big part of our family. We would do anything for them, and as such would follow in their shoes or paws. The big question is: Are we supplying enough protein and nutrients for our cherished pets? In the bags of food we buy for them, can you get the correct information from the labels? Some pet owners are unaware of the extra requirements needed for their cherished animals. We’ve spoken to independent pet food brand McAdams PetFoods and put together an infographic highlighting how pet food is currently labelled. The objective is for this to help notify people of the choices they have in their pet food purchases and allow them to make informed choices. Protein is important, not just for us humans, but for animals also. It originates from meat, fish, eggs and some plants. It is the value to steadily maintain healthy growth and survival. Look out for labels on pet food you buy, as it’s important to make sure your much-loved animal is taken care of the right way. The labels should state feeding guidelines, to help people safely distribute out the correct amount of food portions for their beloved pets. Under supplying and over doing are both actions of risk towards the animal. The label should also state how to accurately store one’s supply of pet food, stating either a cool and dry place, to being in humid conditions. Samples of pet food can be supplied to people to try to see whether it’s appropriate and satisfies their animal, whether or not to purchase and continue to buy more, or to skip and move onto the next brand. However, putting all the information onto a small packet can be tricky. The same labelling rules apply to samples of pet food products, in however way it’s showed as long as the information reaches out to people. Displayed either on product packaging itself, if it’s able to fit, or attached to the packaging. Taking the example of dogs, ranging from all different sizes in weight, height and width from one another, altered protein needs to be given out correctly in the exact amount. As over use or under use of protein can be a bad thing. But even within good quality dog foods, the levels of protein compared to other ingredients can be very variable. Often on labels, the important section is a small print not necessarily meant for our eyes and we tend to skip over reading it. However this likely could give you additional information about your beloved pet that you might be unaware of. They state words that sound good but may conceal the behind the scenes manufacturing process so that it doesn’t truly explain to us the lower quality of the food our pets are getting. What consumer understands exactly what “animal derivatives” is when they see it in the ingredients list? Do you know exactly how “meat meal” is made and what it is? As a call for less creative marketing on pet food labelling and clarity over what is going into our pets’ foods, we’ve spoken to McAdams PetFoods, an independent dog food manufacturer who strive to give consumers a choice, having all the facts about how their pet food is made and where the ingredients are sourced. We have collated the information into an easy to read and understand infographic in order highlight and clarify terms which consumers may find misleading and to better explain them. But now, in the online age, scams have become more and more sophisticated so that even a person who has grown up with the internet and is educated in its ways can easily get caught out by security breaches and fraudulent emails that appear to come from friends, family or a trusted source such as their bank or internet provider (as we’ve seen with big hacks in recent years including Sony in 2014 and TalkTalk only a couple of months ago). Here at Data Label, we have created an infographic to bring a higher awareness to online scams and explain what’s going on behind the scenes when you receive one of these malicious emails as well as providing some tips on what to look out for to help you avoid being caught out by one. On the other hand a Tamper evident label is designed so that it will split or break apart if any attempts are made to remove it or interfere with the equipment by trying to open it for example. The labels cannot be reused or repaired once they have been tampered with. These labels are used quite frequently as a packaging seal to provide evidence that a package has been tampered with or an attempt has been made to try to force it open, for example tamer evident labels are frequently seen on CD’s and DVD’s. So with these two types of label it can be seen that they have a deterrent effect against misuse or theft, the labels can also be used to provide a suitable way to identify the equipment. This type of label will feature a numbering system or barcode system for identification. All that is required to create a unique customised label for your business is to let your imagination run free and jot down some of the ideas and you can leave the rest to us. You will soon see that these will help promote your business and are available in different shapes and sizes and huge range of colours. The label ideally will have the company logo embedded onto it and also can be personalised to represent any industry using particular symbols. Printing your custom label is of the upmost importance and we have invested in the latest digital print technology, which eliminates the need for expensive print plates. When custom labels are digitally printed and used they add on to the promotional quality of your product. Custom labels printed digitally ensure high quality images at low prices. A good quality image is determined by a good print, contact us by ‘phone on 01293 551520, or email at sales@datalabel.co.uk and we will be happy to discuss all the aspects on producing a unique custom label for your business and of course provide you with a no obligation quotation.